Dr. Amstel graduated with a bachelor of science degree in biopsychology from the University of Michigan. He was then awarded his medical degree from the State University of New York Downstate Medical School in Brooklyn. He completed his residency training in the Department of Internal Medicine at Temple University Hospital in Philadelphia. Dr. Amstel then went on to complete a fellowship in cardiovascular medicine at the University of Illinois at Chicago Medical Center. 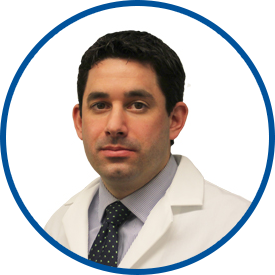 Dr. Amstel is board certified in both cardiovascular disease and internal medicine. He also holds board certification in echocardiography and nuclear cardiology. Previously, he served as attending cardiologist on staff at Montefiore Medical Center, Phelps Memorial Hospital, St. John’s Riverside Hospital and Dobbs Ferry Hospital. He holds an academic appointment as attending cardiologist in the Department of Heart and Vascular Care at Montefiore Einstein Medical Center. Physician was professional as well as caring. *Dr. Amstel was friendly, knowledgeable, patient and considerate. I wish all doctors were like Dr Amstel . He is respectful ,patient,and knowledgeable . He answers all questions in a way that I can understand ,and I never feel rushed . Dr. Amstel is the man I wish to handle all my cardio needs now and in the future. I always feel well taken care and confident in my care. I feel very confident that the care I receive from Dr. Amstel is the best! He is very well informed about current procedures and is happy to explain different patient options. He is very supportive of patient decisions. Always a very good experience. Dr Amstel always takes time to listen to what I have to say and explains all test results. Asks questions about any concerns I have and with the current medication that I am taking.